This was a reboot. The movie became a little cold in its latter half and flirted with video game like, albeit impressive special effects during interminable knock down drag out battles. You can gleefully throw away any accurate understanding of chemistry, biology and physics, though the film did make a game stab at explaining Superman's godlike powers. Godlike is the key to understanding Superman's appeal as he is seemingly unbound by the laws of thermodynamics and conservation of momentum. The more you think about this the sillier it becomes so you should just go with the flow and not investigate the illogical or impossible. The Superman story has several quite deliberate allusions to Moses, Jesus and even older chosen ones. Perhaps 2000 years from now humans will worship Superman as a god. What is it about humans that makes us seemingly want to tell the same Hero's Journey over and over again. A boy, perhaps a prince, is sent away or stolen from his family and grows up among strangers. He may or may not be aware of his singular nature and true destiny. Eventually he has to do battle with his own dark side or the people who killed his family or even save the world. This theme runs through stories as diverse as A Song of Ice and Fire (multiple examples), Jack Sawyer in Stephen King's and Peter Straub's The Talisman, Thomas Mallory's King Arthur, the Malian epic Sundiata, Susan Cooper's The Grey King and many more across times and cultures. Because Superman can't be defeated by anything on earth there's not much excitement showing him capturing run of the mill bad guys or anything like that. Besides that's hardly the stuff of epic drama. 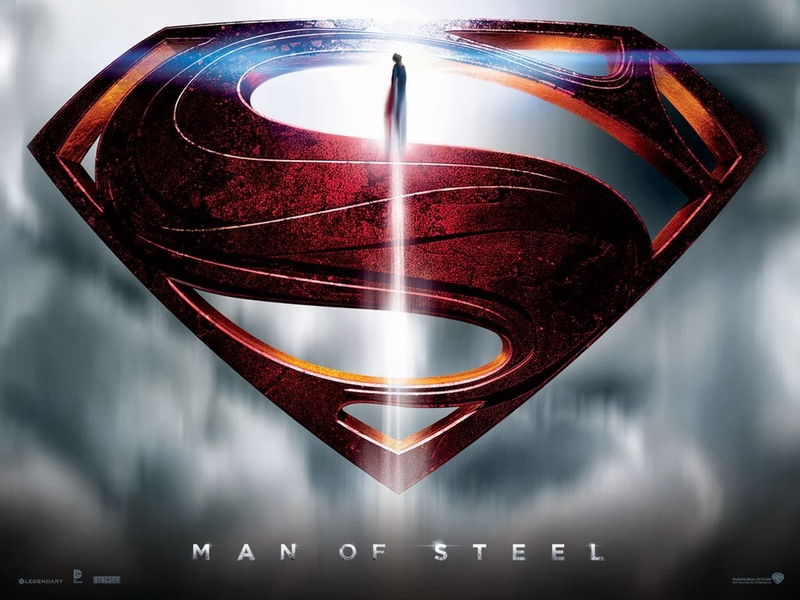 Man of Steel weaves a story that shows Kal-El/Superman/Clark Kent (Henry Cavill) as a man and previous boy who not only will need to do battle with enemies from his past but with his own doubts and fears about who he is and what his place in the world will be. I think most people know the basic story. 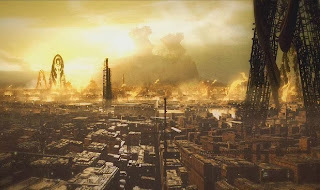 The planet Krypton faces imminent destruction. This is explained by overexploitation of the planet's resources and an old sun. Again, details don't much matter. What does matter is that a leading scientist/engineer Jor-El (Russell Crowe) and his wife Lara (Ayelet Zurer), having failed to convince the ruling council to stop the activities which caused core destabilization or to evacuate the planet, send their baby son (the first Kryptonian in years to be conceived and born the old fashioned way) on a journey to Earth. Again the closest star to Earth, Alpha Centauri, is 4.2 light years away. If something were traveling at the speed of our space shuttle it would take almost 200,000 years to get from Earth to Alpha Centauri. And presumably Krypton is further away. So Superman wouldn't be a baby when he arrived. I shouldn't think about details but you cannae change the laws of physics, cap'n!!! The ruthless and quietly maniacal General Zod (Michael Shannon in a meaty role) decides that the time is right to launch a coup. He's also very angry that Jor-El gave his son something that Zod doesn't think was Jor-El's to give. 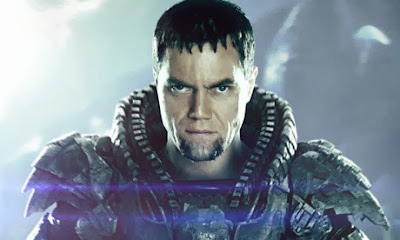 Zod is not really a bad guy. Or rather he is a bad guy to the same extent that any imperialist or real estate developer is. His sole concern is the well being of the race. The Kryptonian race, that is. He, like most other Kryptonians, has been genetically engineered. Zod has the same concern for other sentient beings as you do for the birds who used to live in the forest which previously existed where your home or apartment is now. When he can't convince Jor-El to support his coup he murders him. But the tide turns against old Zod (shades of Satan's rebellion?) and he and his most trusted followers (dark angels?) are locked away in a pocket black hole. Krypton blows up. 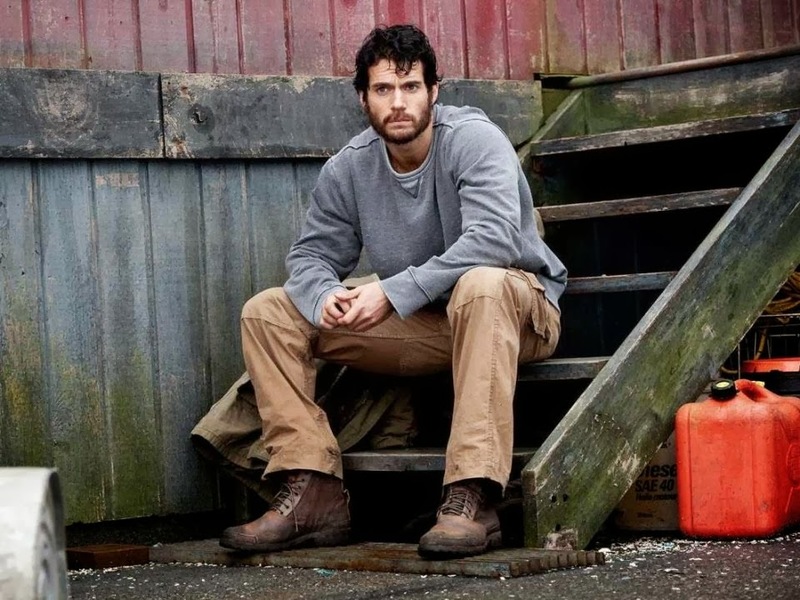 Years later Superman is a wandering, albeit suspiciously good looking and cut, transient worker who seeks to use his abilities to do good, as anonymously as possible. This is explained in flashbacks showing him interacting with his Kansan adoptive parents Jonathan and Martha Kent (Kevin Costner and Diane Lane) who impart a very strong sense of morality and duty within young Clark Kent while urging him to beware of showing off his exponentially growing abilities. Clark Kent hears about a US military expedition to investigate a possible alien spaceship in the Arctic. From where it's found in the ice, this ship is over 18,000 years old. That tricky time thing again. Using his abilities Clark Kent is able to get inside the ship and activate something which isn't quite a hologram or a ghost. It's his biological father who explains who he is and where he's from. Clark is seen and followed in the ship by investigative reporter Lois Lane (Amy Adams). Of course later hardly anyone believes her story and even those who are open to it like her editor Perry White (Laurence Fishburne) decline to print it. However the entire world is going to find out that aliens do exist and they're p***** off. When Krypton exploded, the technology which created the pocket black hole was also destroyed. Zod and his followers were freed. Through a series of unfortunate events they were able to collect and/or jerry rig a number of Kryptonian ships and weaponry that was either floating in the debris or left abandoned on other outposts. And they know where Kal-El is. They want what he has. They don't care who or how many people they have to kill to get it. 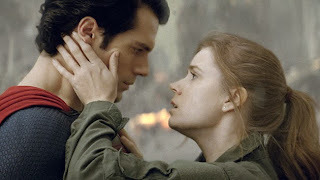 I didn't think that Cavill and Adams had the greatest chemistry together but romantic chemistry is not why people watch movies like this. The special effects were superb but as mentioned start to dominate the film, and not in a good way, towards the end. There are some nods to questions around the government's surveillance powers as well as the old question of "who guards the guards"? If Superman were to go bad there is literally nothing on earth that could stop him. It's ironic that the only limit on Superman is his morality while the Nietzchean Superman was Superman precisely because he was unbound by moral concerns. All in all this was a fun movie.